Moving involves a lot of details and last minute steps. We've prepared a checklist for you to use to prepare and stay on track. 1. Hire A Moving Company. 6-8 Weeks before your move, start using review sites such as Yelp to find a reputable moving company that services your area. Make reservations as early as possible (while being realistic) to secure your space--this is especially important during the summertime (peak moving season). 2. Take Inventory. Make a detailed list of your belongings and their value so you'll know if something is missing. Consider packing sentimental, or monetarily valuable, items separately and in your own vehicle for safe keeping. 3. Purchase Extra Insurance (as needed). Check your homeowner's policy and ask your moving company what amount they will cover in damages. Cross check those amounts with the inventory list you made in Step 2 to determine whether you are adequately covered. Remember that moving time is the most risky for your belongings in terms of damage and loss. If needed, contact your insurance provider and purchase extra coverage. 4. Downsize. Packing is the perfect opportunity to weed out unnecessary and unused belongings--there is no sense in paying to ship it if it's not being used! The more items you can sell, donate or throw away...the more you'll save in shipping costs and supplies. 5. Buy Supplies. 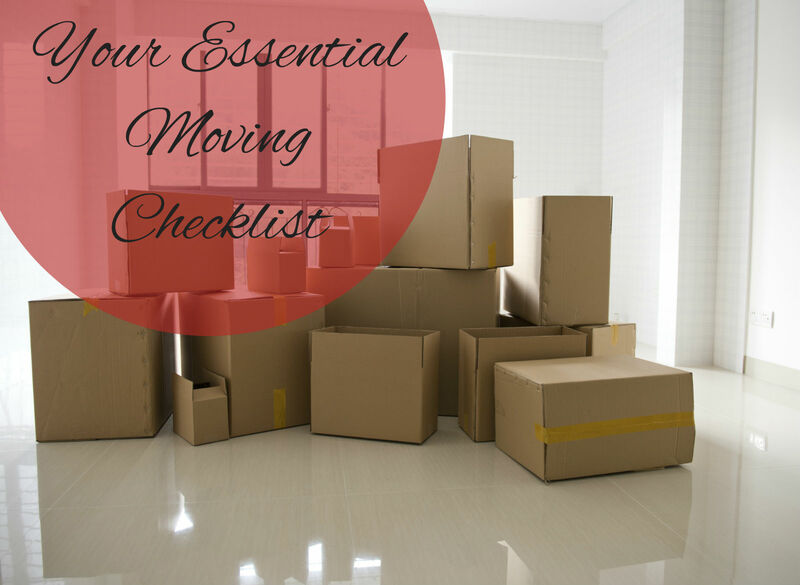 You'll need boxes, tape, bubble wrap and packing paper galore to securely pack your (downsized) belongings. These are all readily available at home improvement stores, but check local businesses first--they may be willing to part with extra boxes they would otherwise pay to recycle. 6. Stop (and Start) Services. Once your move date has been set, call your utility companies to notify them to stop your account. Likewise, call your new utility company to set up accounts for your new home. 7. Notify. Be sure to let the USPS know of your forwarding address. Also contact your bill companies, bank, schools, your employer and other businesses you exchange paper mail with...and don't forget to tell friends and family! 8. Unpack. If possible, take an extra day or two off from work to settle in and organize your new space. Having the extra time will alleviate stress and allow you to go back to work feeling more put together.